Syria’s Assad To Become The First Head Of State To Meet Kim Jong-un in North Korea: KCNA: Syrian President Bashar al-Assad said he plans to visit North Korea’s leader Kim Jong-un, Pyongyang’s state media reported on Sunday. He potentially becomes the first head of state to meet Kim inside the isolated country. 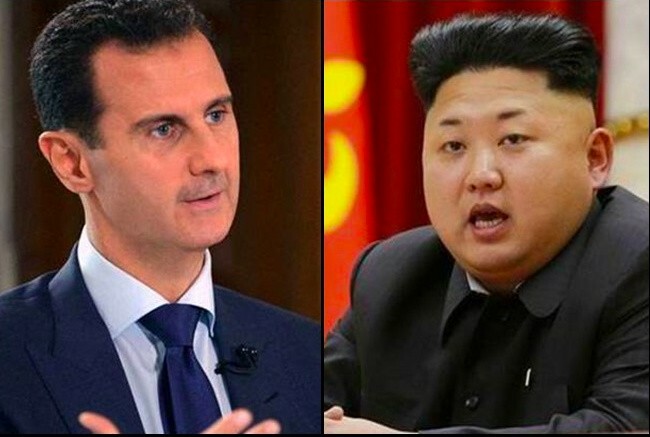 I am going to visit the DPRK and meet Kim Jong-un,” Assad says, the North’s state-run KCNA news agency reports, using the abbreviate version of a country’s official name. The announcement comes as anticipation mounts for a historic nuclear summit between the Kim and also US President Donald Trump in Singapore on June 12th on following rounds of diplomacy. The world welcomes remarkable events in the Korean peninsula to brought on recently by the outstanding political caliber and wise leadership of Kim Jong-un. KCNA is citing Assad as saying during a meeting with North Korean Ambassador Mun Jong-Nam on Wednesday. Syrian President Bashar al-Assad is receiving diplomatic credentials from North Korea’s newly-appointed ambassador to Damascus Mun Jong-Nam in Damascus. The Syrian president’s office refuse to suggest on the report when the AFP contacts it. Pyongyang and Damascus have maintaining warm ties for the decades and reportedly shares a military relationship for some years, includes during ongoing Syrian war. Suspicions over the chemical weapons trade between Pyongyang and Damascus have raised in the past by the United Nations and South Korea. There are also widespread reports that North Korea is helping Syria to build a nuclear plant that was destroyed by Israeli bombing in the year 2007. Both regimes have the target of international isolation. Pyongyang over its banned the nuclear programme and Damascus for atrocities committed during the term of seven-year civil war. Since the came to power in 2011, Kim has not met another head of state in North Korea. He only makes his first overseas trip as a leader this year, traveling to China to meet President Xi Jinping, an ally of the reclusive regime. So, these are the points to describe on Syria’s Assad to become the first head of state to meet Kim Jong-un in North Korea: KCNA.